Nike Air Force 1 "USDA"
"USDA was a sneaker that I just came across. I think I went out to Long Island to see a dude who had a bunch of kicks, and I had never seen this shoe before then. When I saw them I downplayed it because I really wanted the shoe. I was like, 'I'll take it but throw some other shoes in there.' I took them home and did my research on them and found out that about five pairs were made. The shoe is real dope, and it's grown on me. 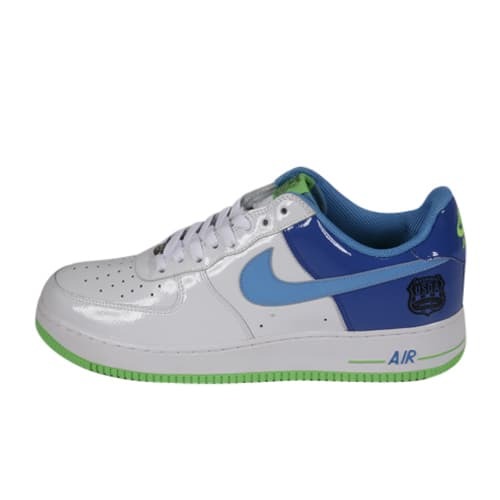 It's an all-white patent leather with blue on the back and a green bottom. It reminds me of a polo."